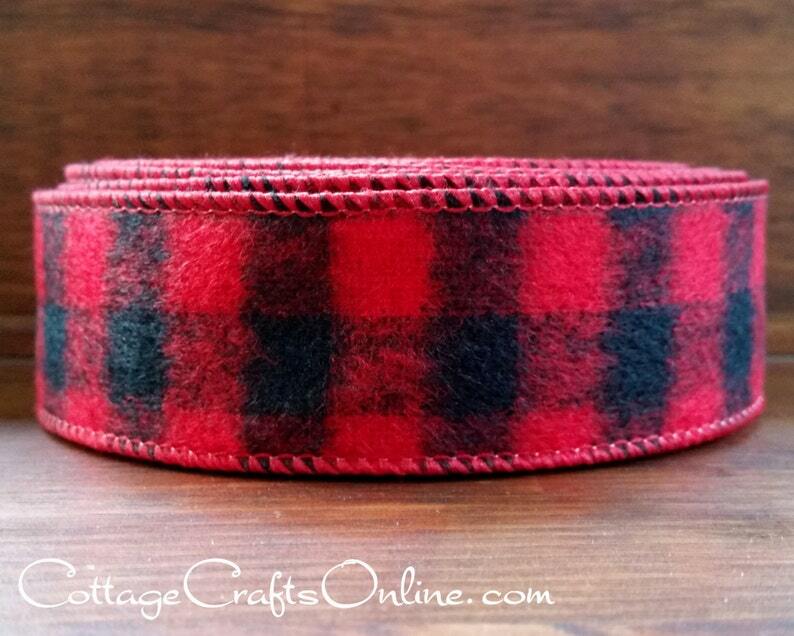 Unusual flannel wire ribbon, 1 1/2" wide, in the timeless "Buffalo Plaid" combination of red and black. THRILLED to find this ribbon!!! Thank you for the super-fast delivery also! Ordered twice during the Christmas season and both times the shipping was incredibly FAST. Thank you for such a great item. I absolutely love this ribbon. Love this ribbon. Will be back for more. Very fast shipping. Thanks!